Also learn about the yearly Northwest Paddlng Festival sponsored by the Northwest Marine Trade Association and hear from some of our paddling members about their activities. Haley Rice, Program Specialist with WA State Parks and Recreation will bring valuable information about the Washington Parks Boating Program! 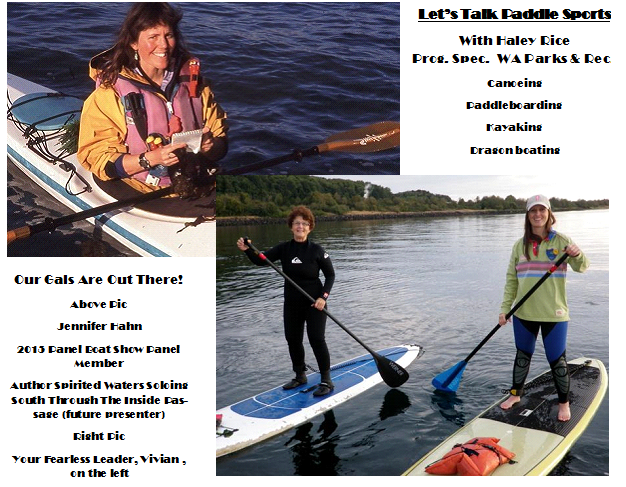 She will be discussing the mission of the Washington Parks Boating Program, as well as the fastest growing recreation in Washington State – Paddlesports! Some of our members who paddle will be there to share about their adventures on the water. Bring questions and prepare for an interesting evening.